Hemplucid’s Vape / Drip provides whole-plant, hemp-derived CBD in our proprietary formulation. This is one of the quickest ways to feel the effects of whole-plant CBD. Hemplucid’s Vape / Drip provides whole-plant, hemp-derived CBD in our proprietary formulation. This is a completely natural carrier oil for potent CBD that is suitable for use in a vaporizer and is composed of all-natural ingredients while remaining potent and effective for the quickest route of absorption of CBD. We blend whole-plant CBD with an all-natural vegetable glycerin to create a vape-friendly product that has a sweet, sharp flavor and immediate effects. Vaporized CBD diffuses directly into the bloodstream, bypassing the digestive system. This results in a product with rapid onset and immediate effects. Vaping CBD provides the highest bioavailability of any route of ingestion as well as the most rapid and direct absorption of CBD into the bloodstream, bypassing the digestive system entirely. Some consumers prefer vaping CBD over sublingual or other modes of ingestion. CBD bioavailability is a major factor for some consumers in deciding what CBD product is right for them. If you’re looking for high bioavailability and speed, you can’t go wrong with this solution. The percentage of CBD introduced to your system to produce active effects is referred to as “bioavailability.” This essential component of CBD use depends on the route CBD takes through your body. While sublingual or orally-ingested CBD must pass through your digestive system, you can offset the percentage of CBD lost in this digestive process by vaping your CBD. Vaping is a practical solution to bypass the waiting-time of oral ingestion with CBD entering your lungs and passing directly into your bloodstream. In short, this means that you can achieve the same beneficial effects through vaping a much smaller amount of CBD. Vaping allows CBD to take active effect in your system immediately. You can feel the effects of our Vape/Drip solution within minutes, making vaping an extremely efficient method of delivery. 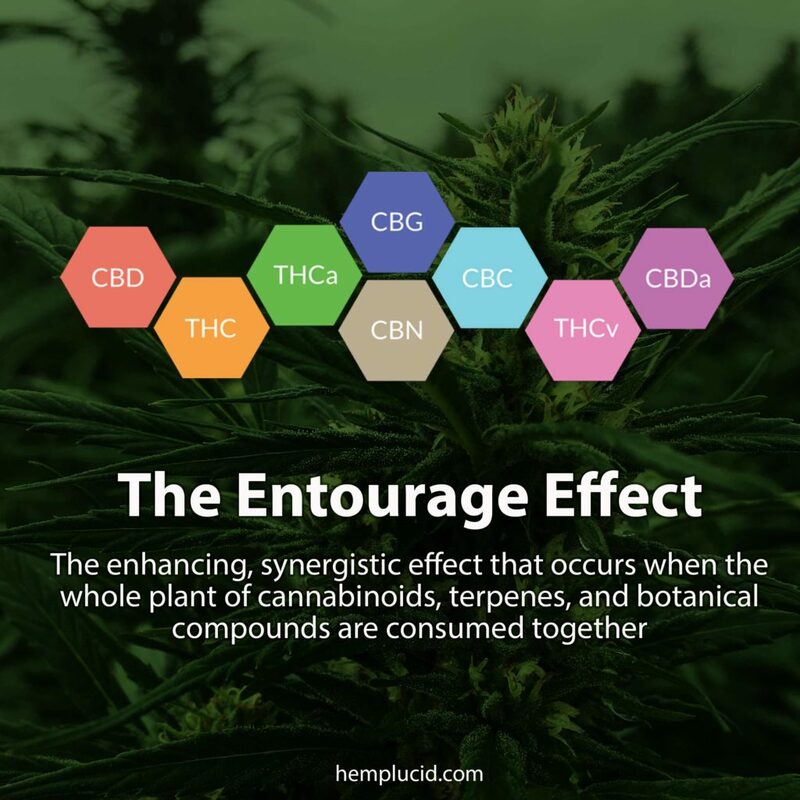 The Entourage Effect is the synergistic benefit of whole-plant, hemp derived CBD that contains a range of naturally occurring cannabinoids and terpenes to maximize the potency, effectiveness, and therapeutic scope of CBD. Hemplucid’s lab test results (click on the “Certifications” tab above to see the different lab sheets for each strength of this product), display the wide variety of cannabinoids that are included in our tinctures: CBDV, CBG, CBC, CBN, CBDV, and more. You’ll find that broad-spectrum or isolate CBD products are missing essential terpenes and additional cannabinoids. This means they cannot produce the full entourage effect, and lack the full range of benefits Whole-Plant CBD can provide to your body. This product is versatile and its uses are not restricted to use in a vaporizer. Our vegetable glycerin proprietary formulation for our Vape/Drip product is water soluble, and it can be mixed into a drink, used in cold-cooking, or added to an existing vape juice depending on your preferences. Because this oil is viscous, we recommend using a high-quality vaporizer cartridge, or that you thin out our product by mixing it with other vape juice in vaporizers with less capacity for a dense liquid. Because different vapes have different uptake rates, exact dosing can be hard to pin down. 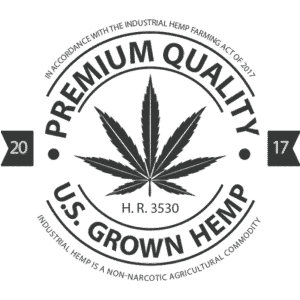 Since hemp derived CBD has a marvelous safety profile, you should be confident in using this product and tempering your dose until you achieve the balance and effects you desire. This method of ingestion delivers CBD rapidly into your system with instantaneous effects. Hemplucid is dedicated to lucidity in everything we do, and we encourage you to take advantage of our lab results in deciding whether this is the brand for you. We are confident in the holistic range of our products and strive to provide consumers with all necessary information in helping them make important choices about which therapeutic CBD regimen they want to incorporate into their lifestyles. I cant go one day without it ! I love the way it makes me feel. My husband uses it for pain he suffers with Duypetrens Contracture. He takes it ****** while I vape it! Used the liquid for 4 weeks. My girlfriend does a monthly drug test and it came back positive. Realize it was very low levels but it was a 150 out of 3000. Enough to fail. Some tests are more sensitive than others but unfortunately I cannot purchase again due to the sensitivity of it. I will have to use isolated hemp liquid for now on. Now for this it is a great product if you are not having to take drug tests. Felt great and tasted great in the vape. And it was this liquid because she failed 2 tests. We do not use anything with thc other than this product. The warning label does mention but I figured with .03 percent that it was safe. Whole-Plant™ CBD Hemp Extract, Organic Vegetable Glycerin, Polysorbate 80. Separation is Natural – Gently warm and shake well before using. Product Description: Natural Flavor CBD Vape in Vegetable Glycerin.